Macroscopic charcoal analysis can be performed at various depths down core to examine broad changes in macroscopic charcoal deposition or contiguously subsampled down core at a high resolution to reconstruct fire episodes and to estimate fire return intervals over long (millennial) time scales (Higuera et al. 2009). Macroscopic charcoal should be gently separated from the sediment matrix of a known volume of sediment e.g. 1 cm3 of sediment. Larger volumes may be necessary within the top sediments that have very high water contents (>80% water weight) and for systems with rapid accumulation of sediments or peat that may dilute the charcoal accumulation signal (Aleman et al. 2013; Carcaillet et al. 2001). The sediment subsample should be soaked in a Calgon or sodium metaphosphate solution to help disaggregate the sample and remove clay particles from the organic material (Bamber 1982). Hydrogen peroxide may also be added to help bleach and distinguish dark black organic matter from true charcoal pieces (Schlacter and Horn 2010). 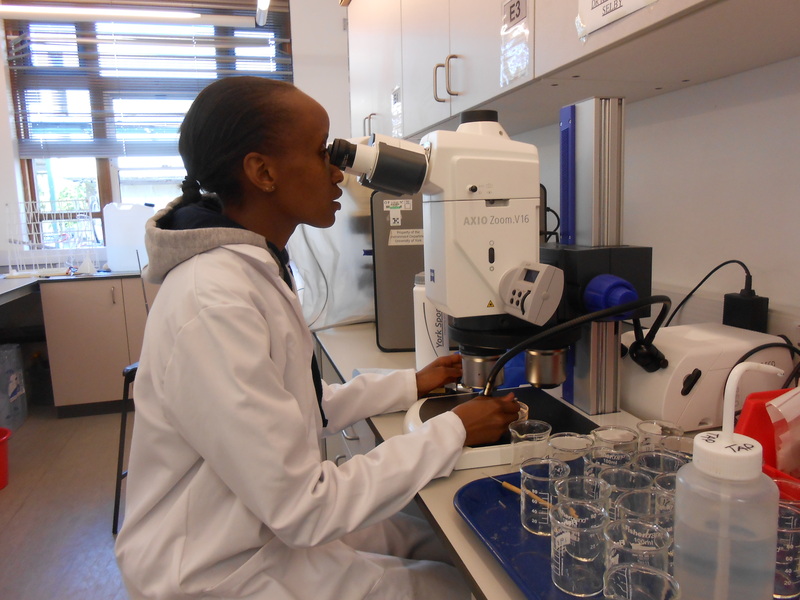 The samples may need to sit from a few hours to a few days depending on how easily the samples disaggregate and sieve – a few test iterations may be needed. Once softened, the subsamples can be washed through a sediment sieve. The mesh size may vary between studies but should be consistent with the literature or between sites within your study for comparability. Multiple size fractions can also be used to gain more insight into biomass burning and charcoal taphonomy. Commonly used size fractions are 100, 125 (Colombaroli and Gavin, 2010), 150 (Courtney Mustaphi and Pisaric 2013; 2014), or 250 μm meshes. The retained material can be examined and counted under a stereomicroscope at a magnification of 10-50×. 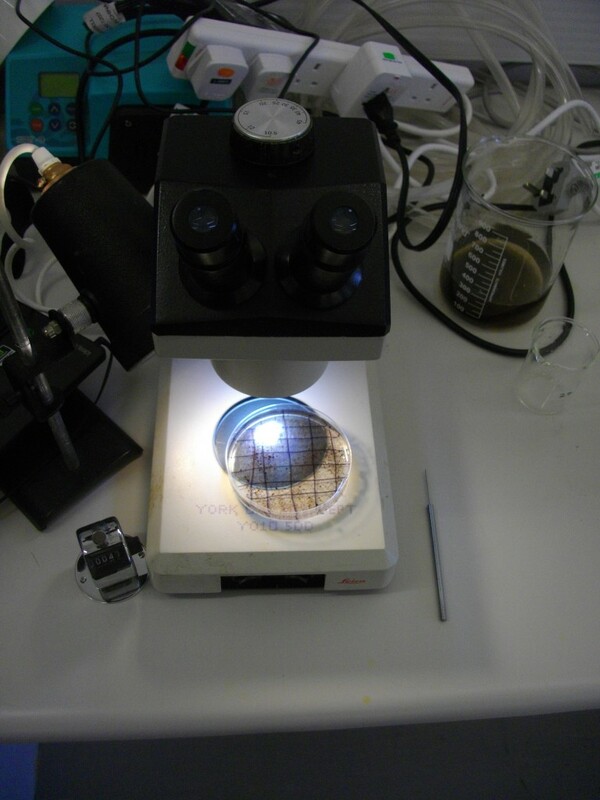 Ensure to record the depth interval (top and bottom of sample interval), the volume extracted, and the number of charcoal pieces counted. Concentrations (pieces cm-3) will be converted to charcoal accumulation rates (CHAR, pieces cm−2 y−1) using CharAnalysis software. It may also be useful to collect the water weight values of each sample to convert the charcoal concentration to charcoal per mass of dry sediment. 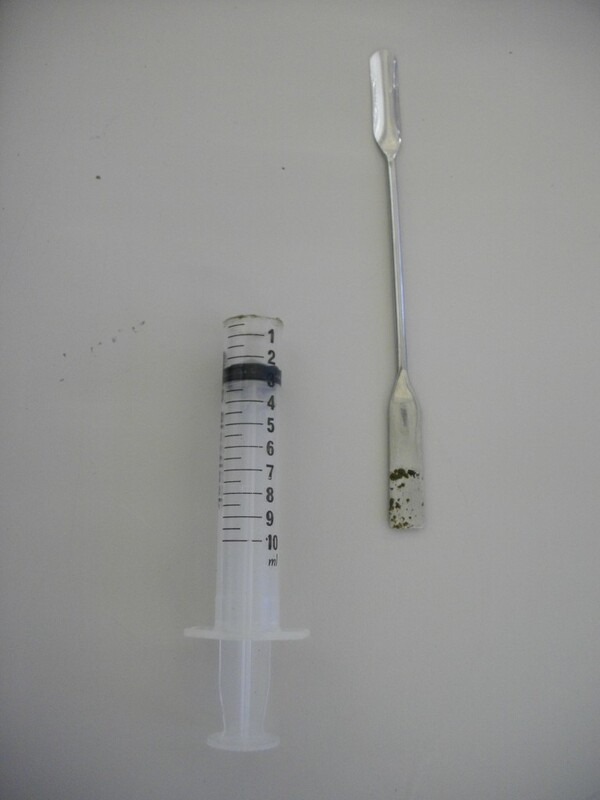 Figure : Volumetric subsampler and spoon for sampling. 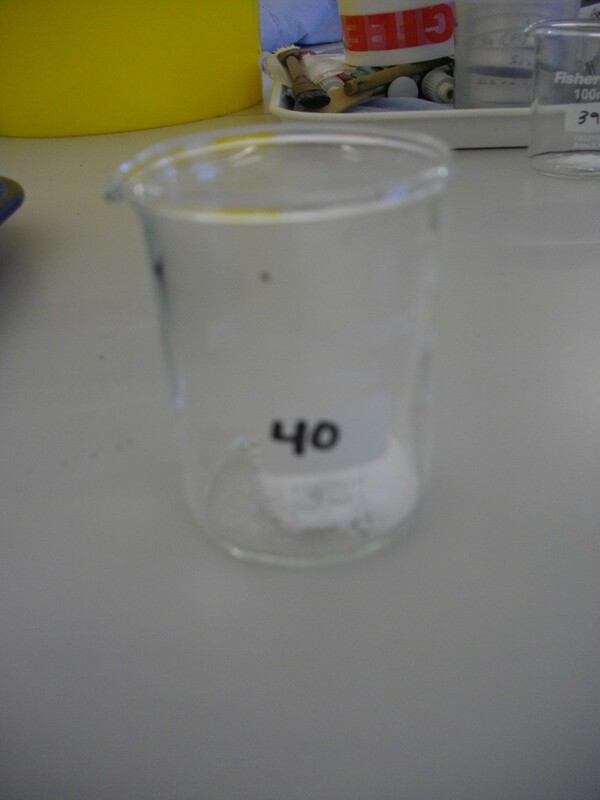 Figure : Beaker number 40 with sodium hexametaphosphate powder awaiting a new subsample. 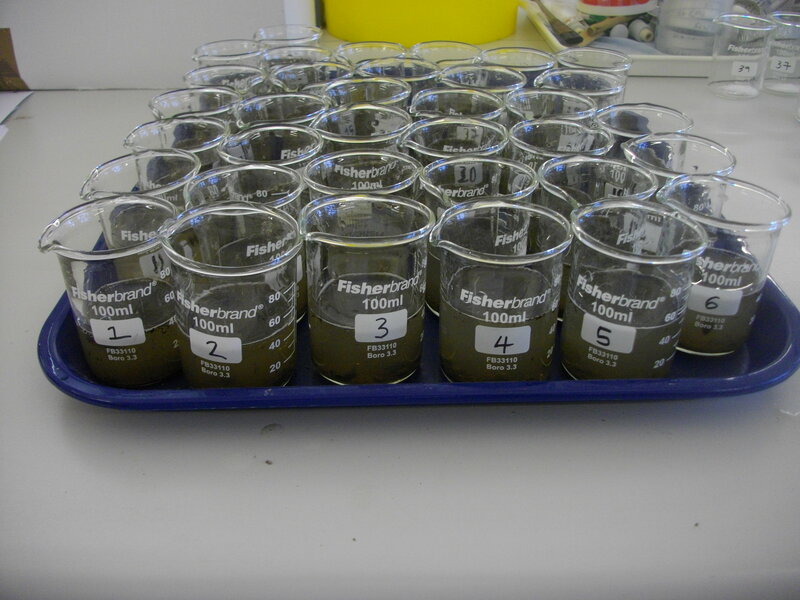 Figure : A tray of soaking samples awaiting wet sieving and counting. Figure : Squirt bottle washing of the samples to help gently disaggregate the samples. 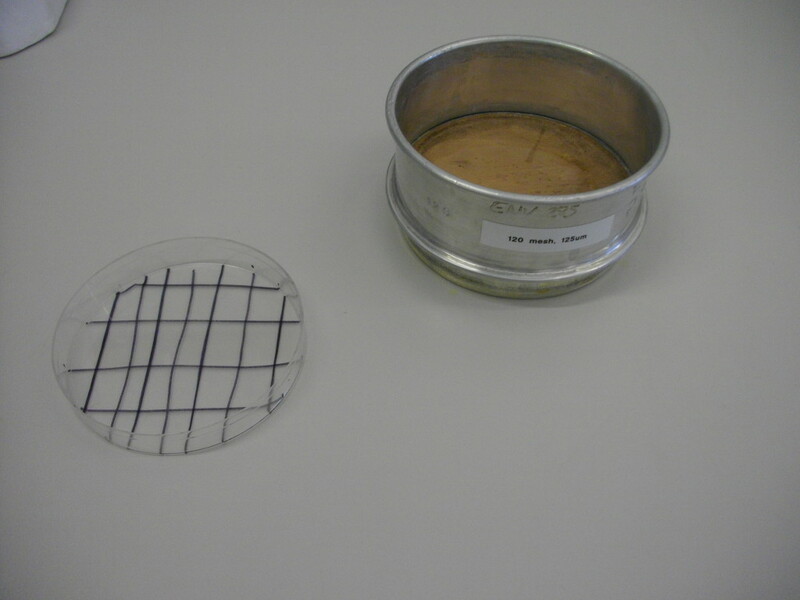 Figure : Sediment sieve for wet sieving and a Petri dish with counting cells drawn on to aid with counting under a stereomicroscope. Figure : A sample ready for counting under the scope. Figure : A sample ready for counting. 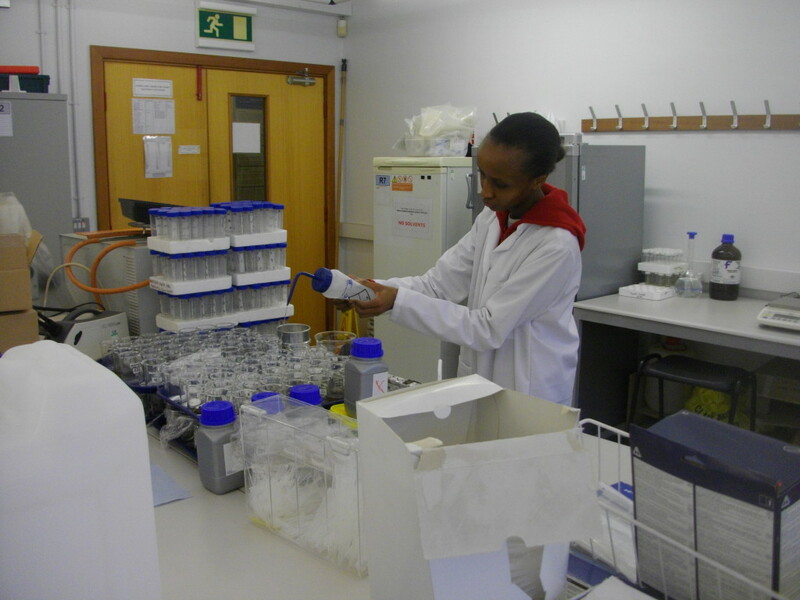 Figure : REAL ESR Esther Githumbi counting macroscopic charcoal at the Environment Department, University of York. Photographs taken at the University of York by Colin J. Courtney Mustaphi. Aleman JC, Blarquez O, Bentaleb I, Bonté P, Brossier B, Carcaillet C, Gond V, Gourlet-Fleury S, Kpolita A, Lefèvre I, Oslisly R, Power MJ, Yongo O, Bremond L, Favier C. 2013. Tracking land-cover changes with sedimentary charcoal in the Afrotropics. The Holocene 23: 1853 –1862. Bamber RN. 1982. 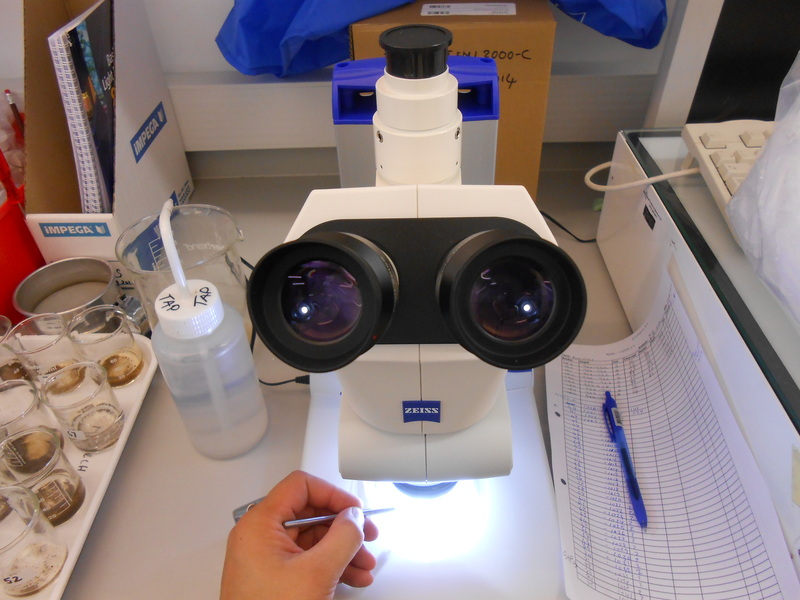 Sodium hexametaphosphate as an aid in benthic sample sorting. Marine Environmental Research 7: 251-255. Carcaillet C, Bouvier M, Fréchette B, Larouche AC, Richard PJH. 2001. Comparison of pollen-slide and sieving methods in lacustrine charcoal analyses for local and regional fire history. The Holocene 11: 467-476. Colombaroli D, Gavin DG. 2010. Highly episodic fire and erosion regime over the past 2000 years in the Siskiyou Mountains, Oregon. Proceedings of the National Academy of Sciences of the United States of America 107: 18909–18914. Courtney Mustaphi CJ, Pisaric MFJ. 2013. Varying influence of climate and aspect as controls of montane forest fire regimes during the late Holocene, south-eastern British Columbia, Canada. Journal of Biogeography 40: 1983-1996. Courtney Mustaphi CJ, Pisaric MFJ. 2014. Holocene climate-fire-vegetation interactions at a subalpine watershed in southeastern British Columbia, Canada. Quaternary Research 81: 228-239. Higuera, P.E., Brubaker, L.B., Anderson, P.M., Hu, F.S., Brown, T.A., 2009. Vegetation mediated the impacts of postglacial climate change on fire regimes in the south-central Brooks Range, Alaska. Ecological Monographs 79: 201–219. Higuera, P.E., Gavin, D.G., Bartlein, P.J., Hallett, D.J., 2010. Peak detection in sediment-charcoal records: impacts of alternative data analysis methods on fire-history interpretations. International Journal of Wildland Fire 19: 996-1014. Schlachter KJ, Horn SP. 2010. 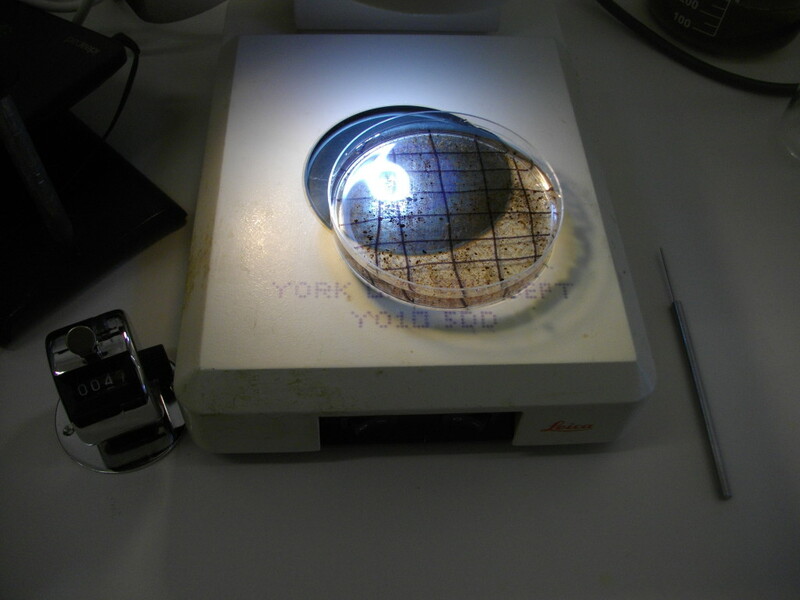 Sample preparation methods and replicability in macroscopic charcoal analysis. Journal of Paleolimnology 44: 701-708.